Please note: "Report on the Texas Business Climate" is not available for download. Study major legislation concerning economic development enacted during the 1990's to evaluate and identify the legislation's impact on Texas businesses and the economy, such as creation and retention of jobs, financial stability of businesses, and financial investment in Texas. Among other legislation, the Committee should evaluate laws concerning tort reform, tax abatements and incentives, insurance reform, telecommunication deregulation, and trucking deregulation. The Committee may make recommendations to establish a mechanism for on-going analysis of current and future business-related laws. Study the effect of property insurance form deregulation, as addressed in SB 1499, passed by the Legislature during the 1997 regular session, on the affordability and availability of homeowners insurance. Monitor the implementation of SB 386, passed by the Legislature during the 1997 regular session, regarding managed care liability, including the development of the rules and standards governing the certification, selection, and operation of independent review organizations. the use of the Telecommunications Infrastructure Fund in improving the capabilities of Texas schools, libraries and public hospitals. 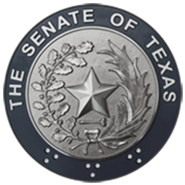 In its evaluation, the Committee should identify any remaining barriers to the development of full competition in the telecommunications market in Texas and make recommendations, if necessary, for any legislative or regulatory action. Review the process used by the Texas Department of Insurance and the Attorney General in making determinations regarding public disclosure of insurance data and, if necessary, make recommendations to streamline and standardize the process. Review and make recommendations, if needed, to clarify what insurance market-related data should be in the public domain and what information should be considered proprietary data to preserve competition. This review should consider both statistical data and underwriting guidelines.